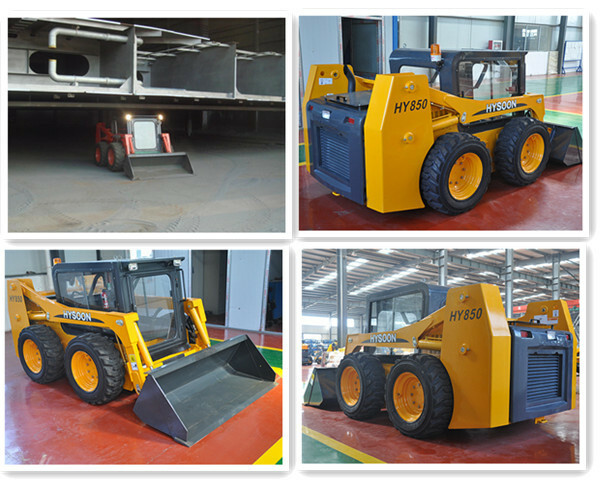 HY850 is a low new skid steer loader, height is 1482mm, It can enter into low environment for working, such as shipyard dust blasting chamber. 850kg load capacity, 0.39 cube meter bucket capacity.Widely used in gardens, manufacturing, recycling, roads, buildings, construction, farms and so on. 1. 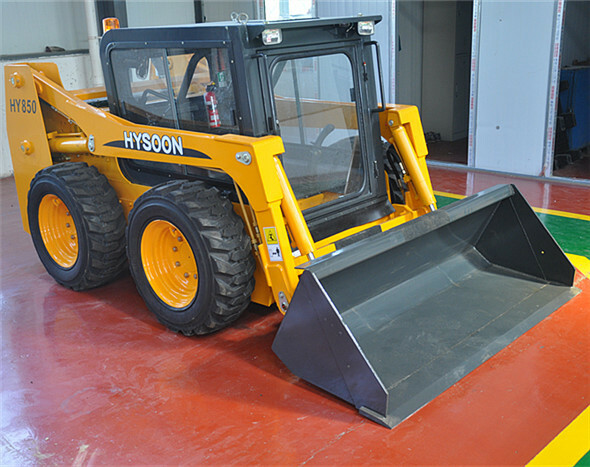 The Hy850 low skid steer loader is specially new designed for any low height environments, Such as shipyards, shipside, ship cabin, cave and chicken sheds. 2. Its height is 1482mm which doesn't influence the operator's line of sight. It can enter into low environment easily, easy to work, avoid labor and trouble. 3.Full enclosed cab is utilized to avoid dust damage to operator during operation. 4.Equipped with fans and optional heater which make operation comfortable. 5.The loader can be opened forward and makes machine's parts easy reach. 6.Operation is convenient, save time and improve efficiency.